An early student of Ueshiba O-Sensei and an aikido pioneer, Shioda Soke lived a life dedicated to Aikido. 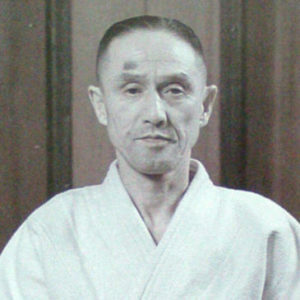 Shioda Gozo Soke was awarded his 9th Dan by Ueshiba Morihei Sensei in 1961. His outstanding contribution to the promotion of Japanese Martial arts in general and Aikido in particular was further acknowledged by the honorary award of 10th Dan by the International Martial arts Federation in 1984, along with the title of Meijin or Grand master. Shioda Gozo Soke’s Aikido has a reputation as a strong style, concerned with the practicality of its techniques. As a consequence, it is taught to the Tokyo women’s police force and also to an elite group of riot police for over 40 years. The dojo name ‘Yoshinkan’, or the house of cultivating the spirit, is made up of three words – yo meaning ‘to cultivate’ or ‘to foster’, shin meaning spirit, and kan meaning hall. During his life, he was convinced that through the silent language of Aikido, all differences between peoples and between cultures disappear, making peace and a harmonious co-existence a reality rather than an ideal. He died in 1994. Inoue Kyoichi Hanshi was a 10th Dan Aikido master and a model gentleman. Inoue Hanshi enrolled at the Yoshinkan dojo on 1st November 1955 and trained daily, morning until night and it wasn’t long before he became an uchideshi under headmaster and founder Shioda Gozo Soke, and later a Yoshinkan instructor. 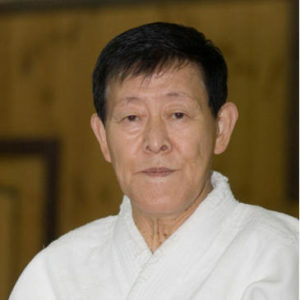 Inoue Hanshi was sent around to teach at various organizations such as the police training academy, the riot police, and the Japanese Self-Defense Forces. It was during his early years as an uchi-deshi, that he developed the Yoshinkan’s foundational system, together with Takashi Kushida Sensei and in consultation with Shioda Gozo Kancho. In 1994, Shioda Gozo Soke died and Inoue Kyoichi Hanshi was named the new kancho (director) of the Yoshinkan in 2002. His 10th Dan was certificate was issued by the International Budo Federation in April 2009. During all the time he has been teaching Aikido, he has tirelessly travelled to numerous countries to teach seminars and demonstrate in order to spread the art of Aikido. His technique was awe-inspiring and he is very commonly described as a true gentleman. Aikido Shudokan was very fortunate to have been under the auspices of Inoue Hanshi and are very thankful for his wise input throughout the years. 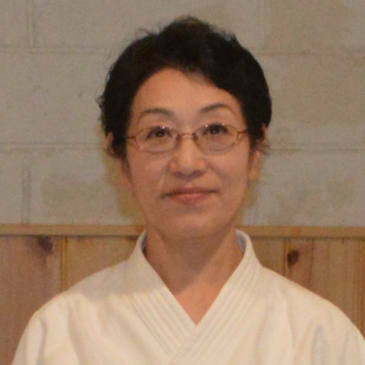 Inoue Aiko Kaicho, 6th Dan, is the head of Aikido Nisshinkan. This organisation, with its headquarters in Japan, was created by Inoue Kyoichi Hanshi to promote the art of Aikido according to his beliefs. Inoue Aiko Kaicho accepted the Aikido Shudokan International’s invitation to become president of the organisation and we value the wealth of knowledge and experience that she brings to Aikido Shudokan International. The history of the Shudokan began with Thamby Rajah Sensei, who is also known as the “Father of Aikido in Malaysia”. He began his martial arts training in Karate and Jujitsu in the early 1950s and a few years later, he went to Japan for a year to study Judo at the Kodokan. He became the first Malaysian to be graded to 1st Dan in Judo. During his time in Japan, he met Gozo Shioda Sensei, the founder of Yoshinkan Aikido, and became inspired to learn Aikido so he returned a couple of years later to study under Gozo Shioda Sensei. Before the end of his time at the Yoshinkan Honbu dojo, he was awarded 1st Dan and became the first Malaysian to obtain a Yoshinkan Aikdo Dan rank. When he returned to Malaysia, he opened the “Shudokan Institute of Aikido”, which was a name given to him by Gozo Shioda Sensei meaning “the house of studying the way”. This was the birth of the Shudokan. 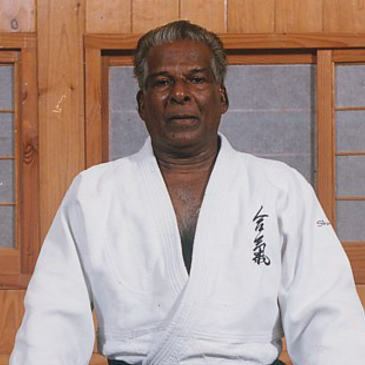 In 1972, at the age of 11 years old and in his home town of Seremban in Malaysia, Joe Thambu Shuseki Shihan began his martial arts career, training under his uncle, Thamby Rajah Sensei. Through his teenage years, he also trained in Kendo and Shindo Muso Ryu Jodo. In 1978, he was awarded his Shodan and shortly after, he travelled to Australia at the age of 19 years old. In Melbourne, he tried a different style of Aikido but found that it didn’t suit him and so took up training in Jujitsu and founded Aikido Shudokan in 1980. Wanting to continue his learning in Aikido, he travelled to Japan in 1983 to stay and train at the Yoshinkan Honbu dojo. Upon his return, he established the first permanent home for the Aikido Shudokan in Australia, and has returned to Japan numerous times since. He has trained under great Yoshinkan style teachers in the world such as Shioda Gozo Soke, Inoue Kyoichi Hanshi, Chida Tsutomu Shihan and Takeno Takefumi Shihan and other world-renowned martial artists including Thamby Rajah Sensei, Don Draeger Sensei, Soke Obata Toshishiro, the founder of Shinkendo and Shihan Nariyama Tetsuro, the Chief Instructor of Tomiki Aikido. The dojo was founded in Melbourne in 1980, and moved to its permanent home in 1983 to St Georges Road, Thornbury in Melbourne, Australia. In 2002, the dojo moved to a larger premises, also in Thornbury, to fit the growing number of students, including international students wishing to live and train at the dojo. Currently, the honbu dojo is located in Heidelberg West in Melbourne and is a purpose-built facility for training in Aikido for local and international students. During this time, other Aikido Shudokan dojos were established locally in Melbourne by Joe Thambu Shuseki Shihan or other instructors of Aikido Shudokan. Also, local instructors moved overseas and established Aikido Shudokan dojos elsewhere whilst other instructors from overseas, having experienced Joe Thambu Shuseki Shihan’s style of Aikido and his teaching, became his students and they established their own Aikido Shudokan dojos in countries such as Malaysia, Indonesia, United Kingdom, Poland, Belgium and the United States. The ASI was established in 2018 in response to a growing need for an Aikido organisation which would “preserve, promote and disseminate the traditional values, concepts and principles of Budo in the modern world”, which is the mission statement for ASI. The creation of a global community of like-minded people to foster and grow these martial ideals enables the preservation of traditional martial arts. 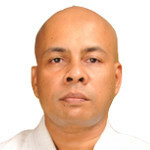 Ramlan Ortega Kyoshi, 6th Dan, is the Chief Instructor of Aikido Shudokan Malaysia and Aikido Shudokan Singapore. 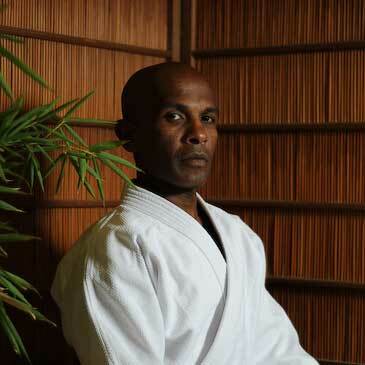 He has been practicing Aikido since 1995 and is a full-time instructor. 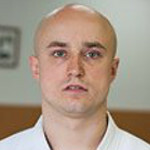 Pawel Felisiak Kyoshi is the Chief Instructor of Aikido Shudokan Poland. He has been teaching Aikido since 1997 and has been a full-time instructor since 2001. 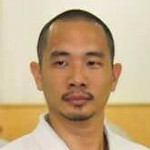 Mark Hadiarja Kyoshi, 5th Dan, is the Chief Instructor of Aikido Shudokan Indonesia and has been teaching since 2002.